The last week of January brought the 16th. 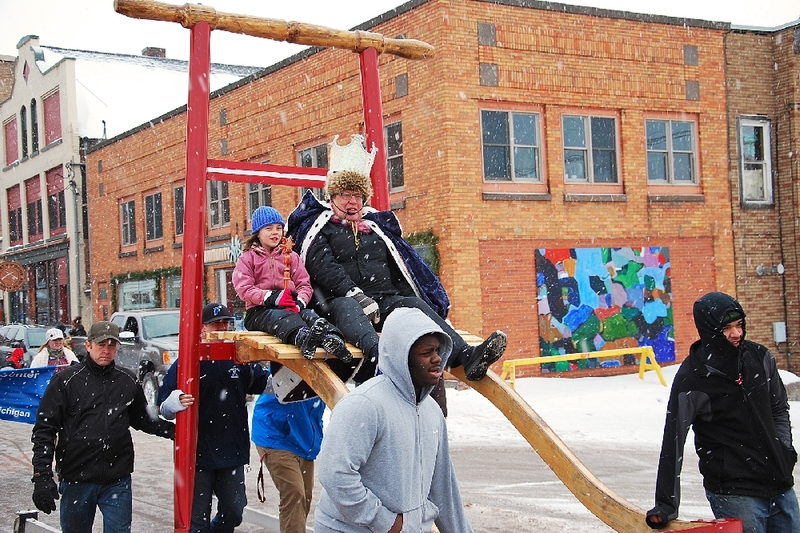 Annual Heikinpaiva (Mid Winter) Celebration to Hancock, and with it, a number of events and activities. 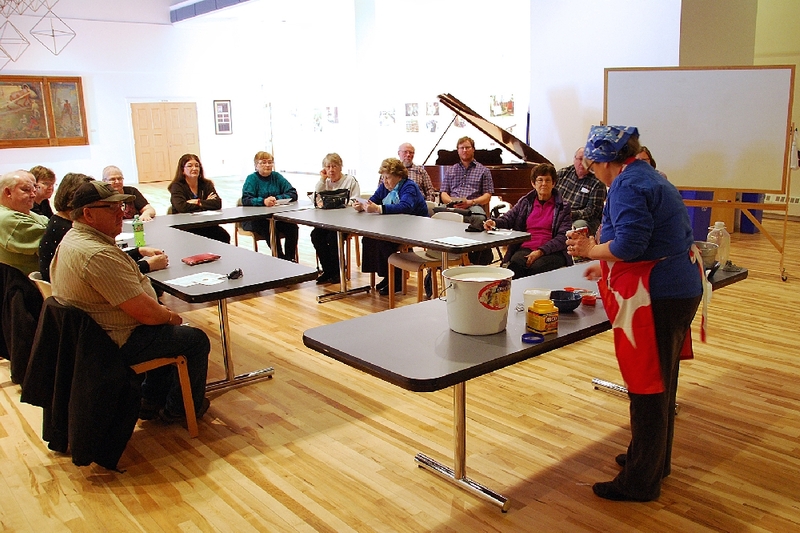 Two weeks of activities as a buildup to the final Saturday of Heikinpaiva (The Bear Rolls Over) Mid Winter Celebration, began with a Leipajuusto (Squeaky Cheese) cooking presentation, at the Finlandia Finnish American Heritage (FAHC) Center. The instructor was Debbie Kurtti. 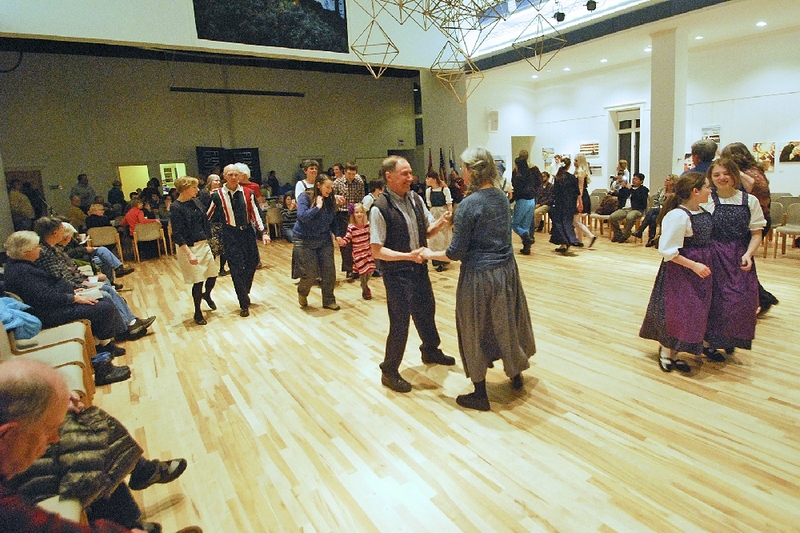 Next was a Friday evening Old Time Copper Country Dance, also at the FAHC, with music by The Thimblebery Band. 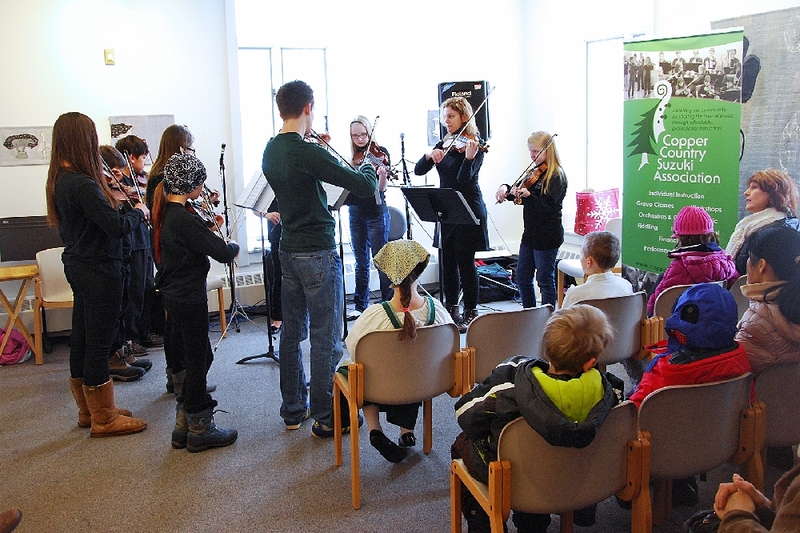 Proceeds supported the Kivajat and Loistavat Dancers trip to Finland later this year. 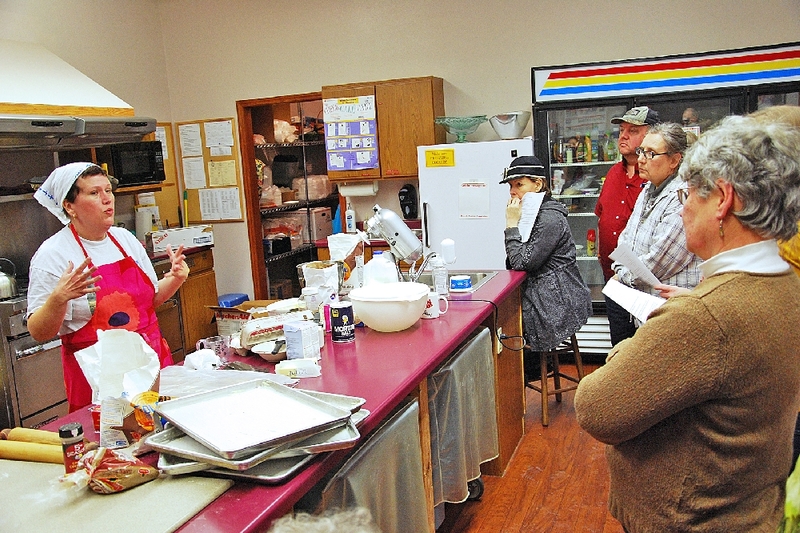 The second week brought another food preparation event, at the Zion Lutheran Church. 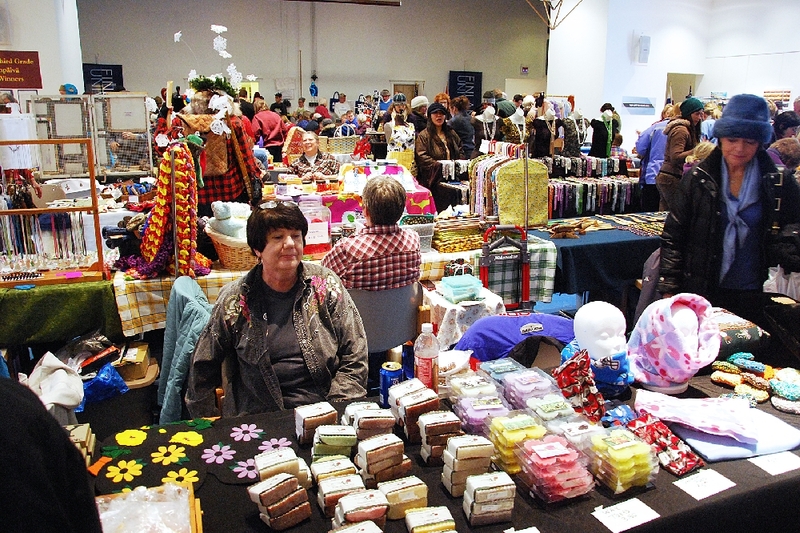 Kayleen Holstrom showed how to make Korvapuusti, or, Finnish Sweet Rolls. 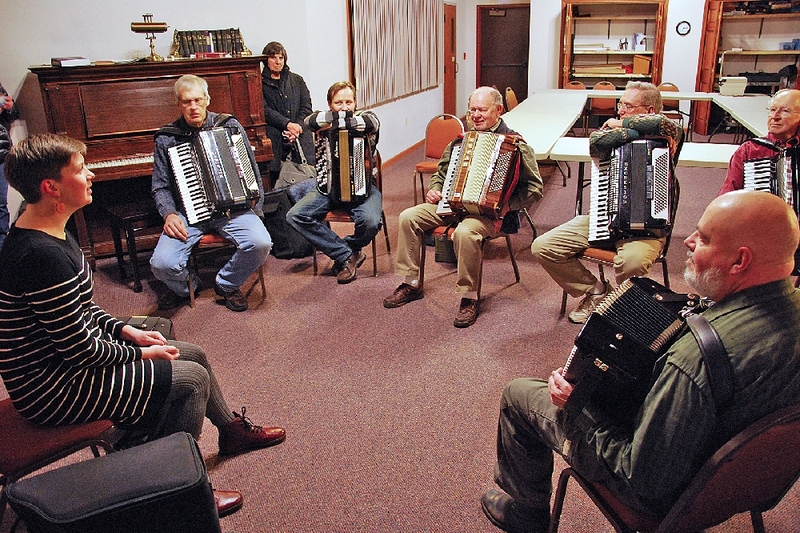 Also that evening, and also at the FAHC, was an accordion workshop, with Teija Niku, Finnish accordionist, with a Finnish musical group Allotar, who came to Hancock just for this Celebration. Interest in the accordion is obviously still high in this area. 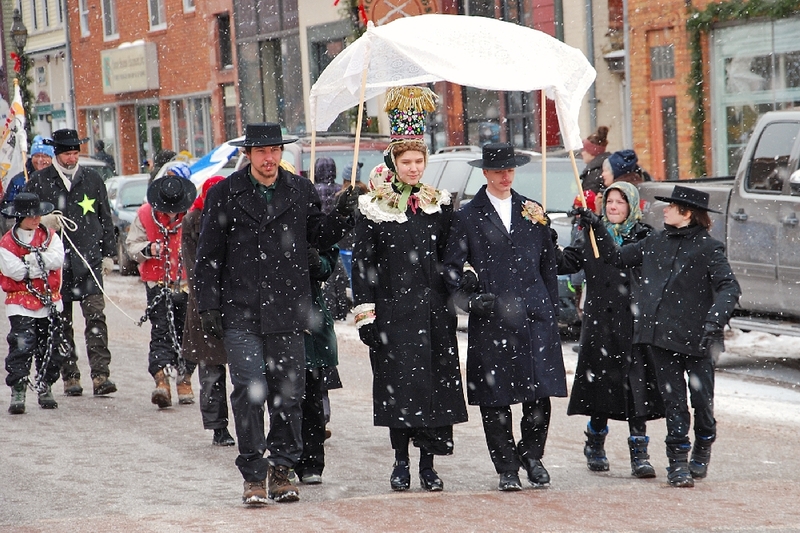 Saturday, January 31st, was a big day, starting with the Annual Parade in the morning through downtown Hancock. 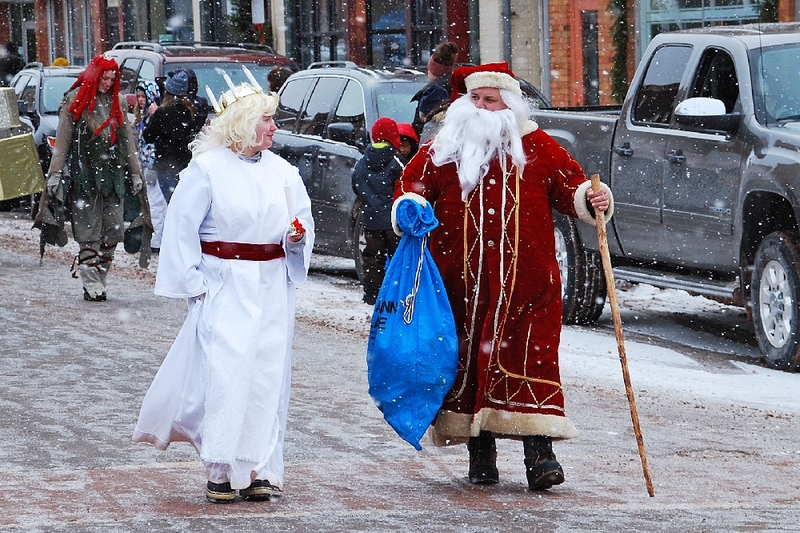 These Parade members, are dressed in colorful Finnish and Scandinavian costumes. Air temperature was 19 degrees;, with intermittent light snow. 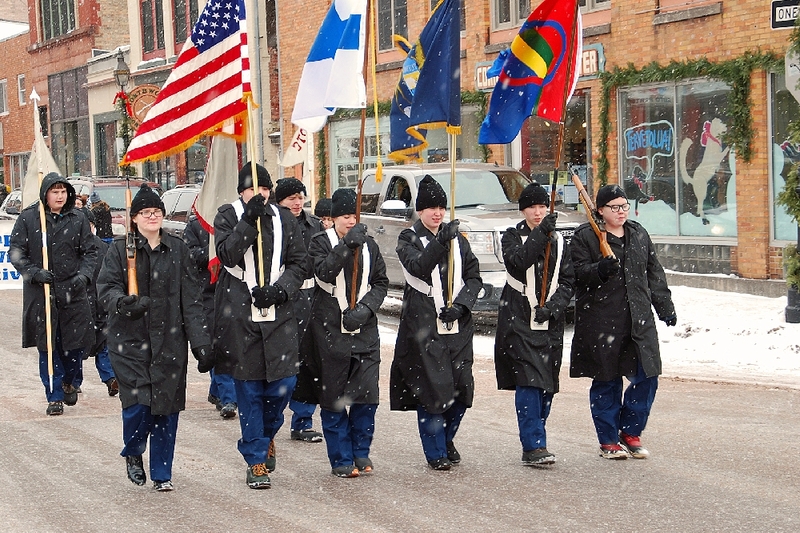 The Hancock High JROTC Color Guard. The banner says it all. 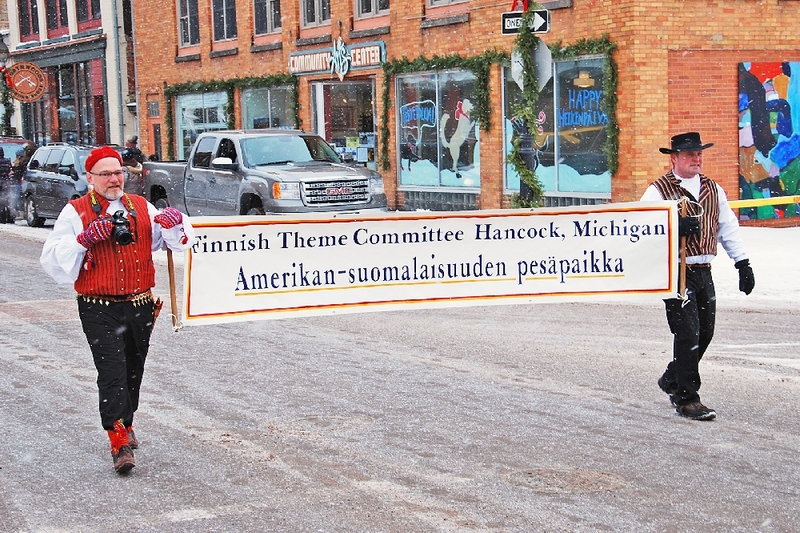 The Heikinpaiva Celebration is under the direction and sponsorship of the Hancock Theme Committee. They do a great job. A Scandinavian ‘Sunday Go To Meeting’ dressed family group. 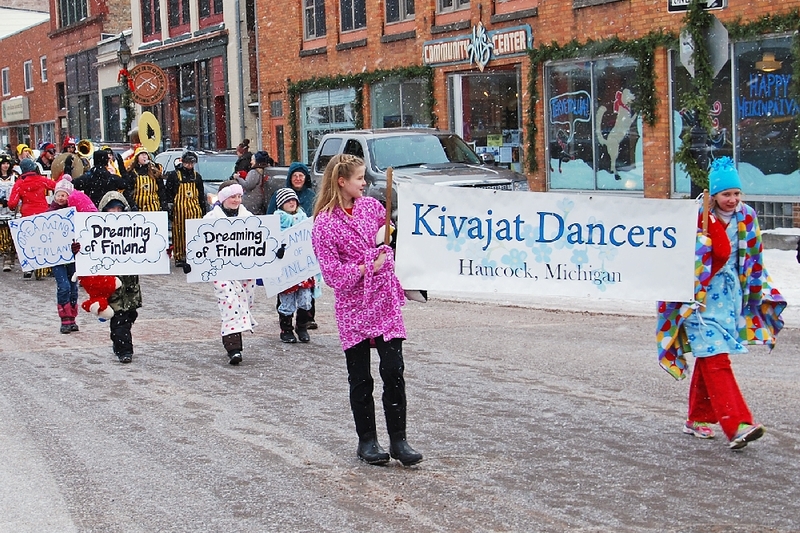 The Kivajat Dancers, a children’s dance group, who are raising money to make a group journey to Finland this Spring. Seated on the World’s Largest Kicksled, is Paul Niemisto, son of Rueben Niemisto, Hanka Homestead Board member/President. Rueben wound up in the Hospital this week, after suffering a bad fall. He had been given the honor of Hankooki Heikki, Honorary Parade Marshall, so his son took his place. We wish Rueben a speedy and full recovery. Get well soon. 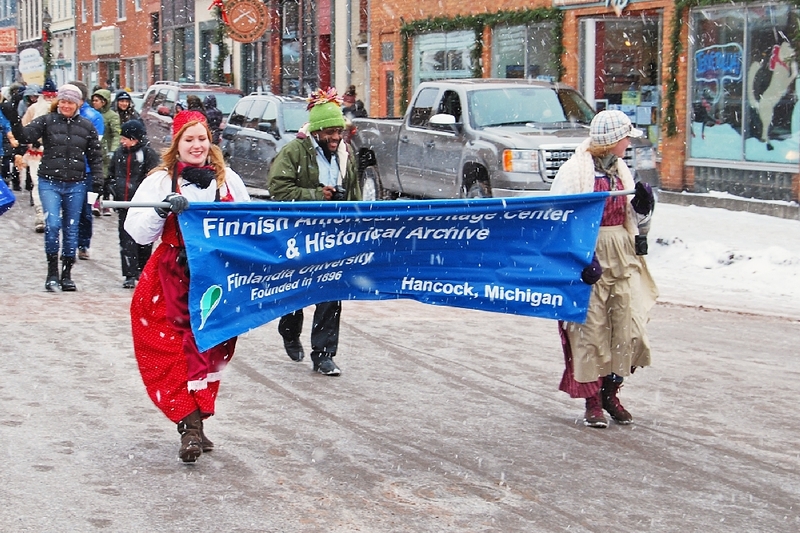 These Ladies are promoting the Finlandia University Finnish American Heritage Center. 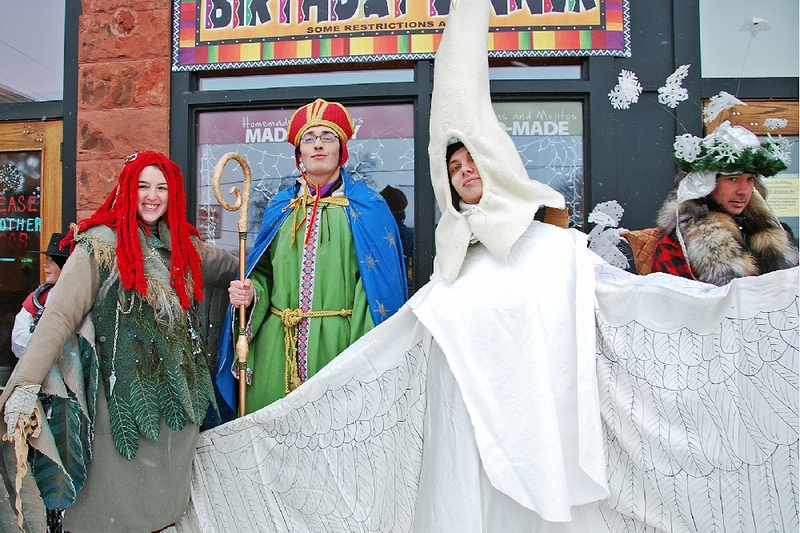 Some more colorful Scandinavian costumes. 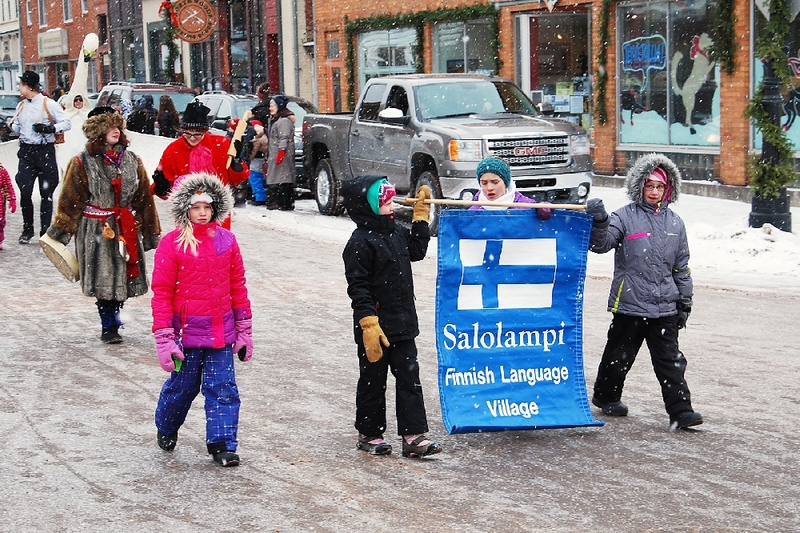 The Salolampi, the Finnish Language Center. 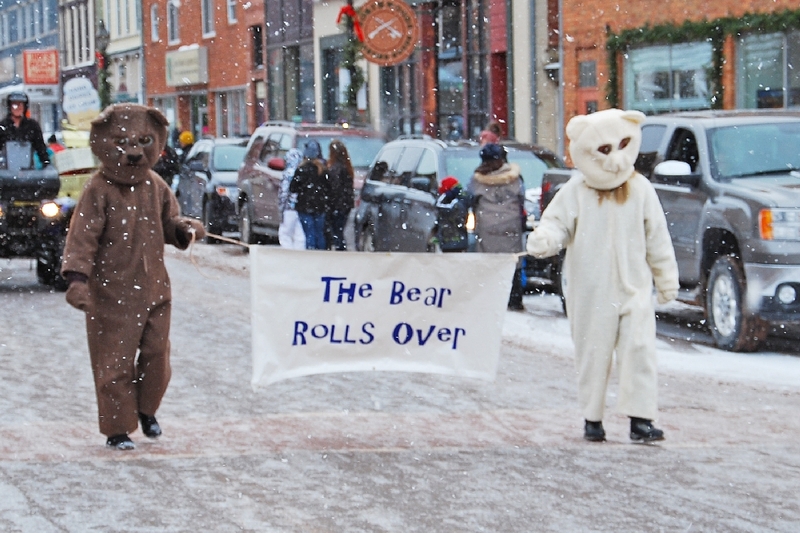 Legend has it, that when the bear rolls over in his den during hibernation, winter has reached its half way point. 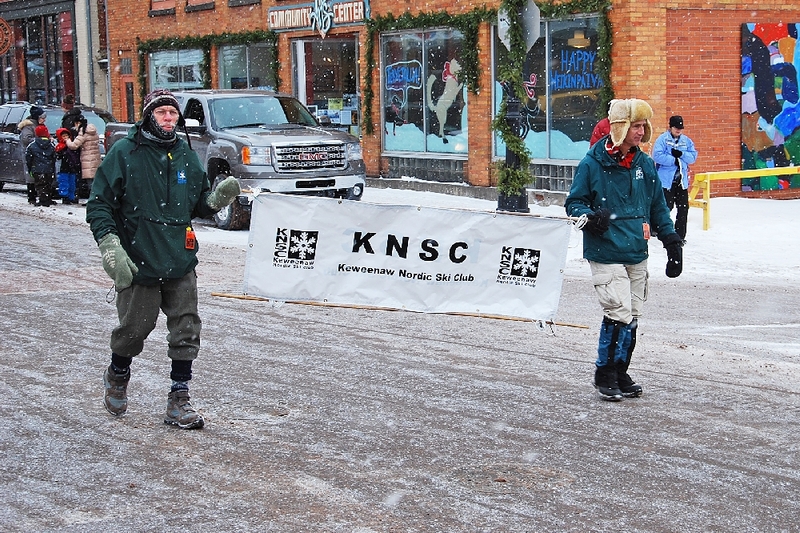 The Keweenaw Nordic Ski Club, who oversee and groom the Hancock Maasto Hiihto and Rolling Rapids Ski Trails. 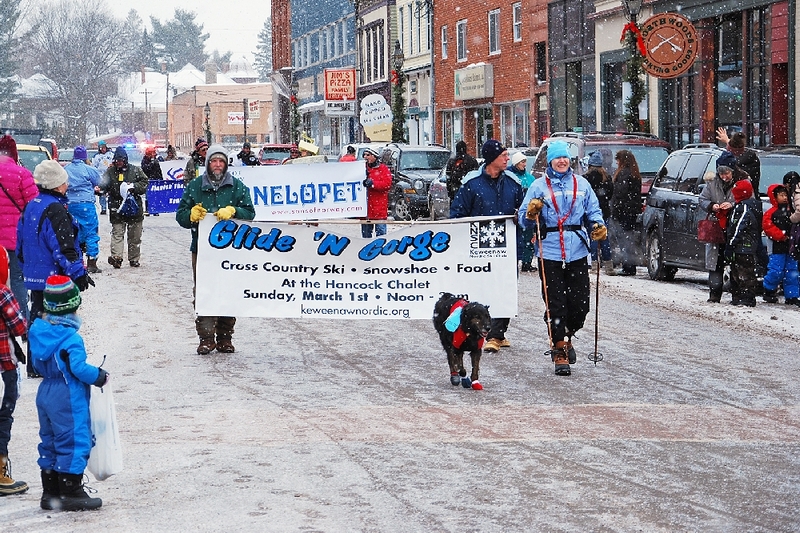 And speaking of the KNSC, the Annual Ride ‘N Glide Ski outing will be coming up this Spring on the Gorge Trail. 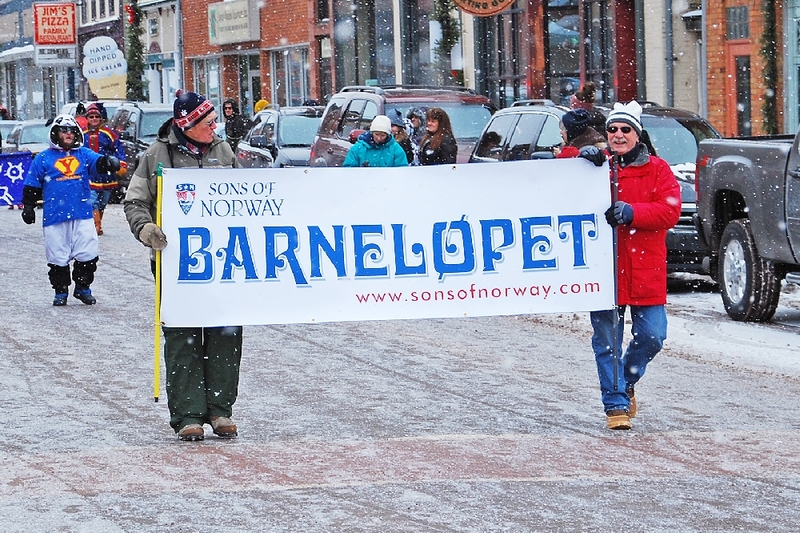 The second Sunday in February is the day of the Barnelopet, children’s ski races, at the Trail Head & Chalet at the Hancock Driving Park. 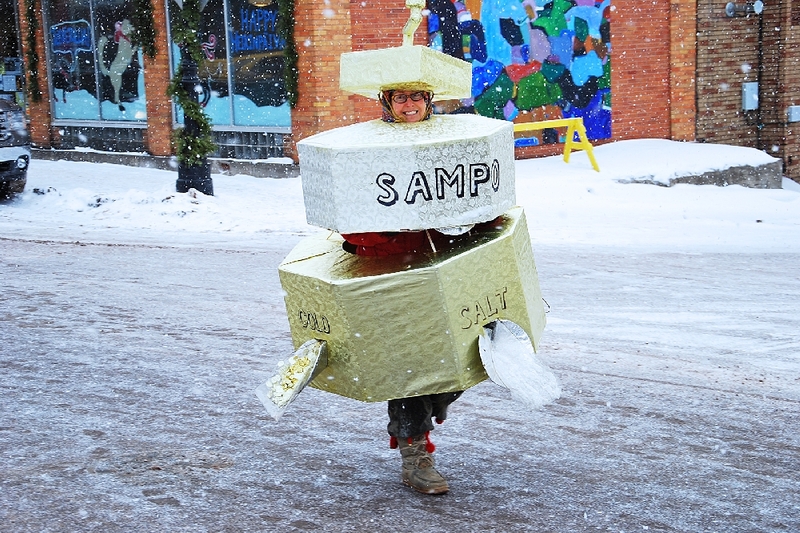 A living admonition for Sampo (salt). 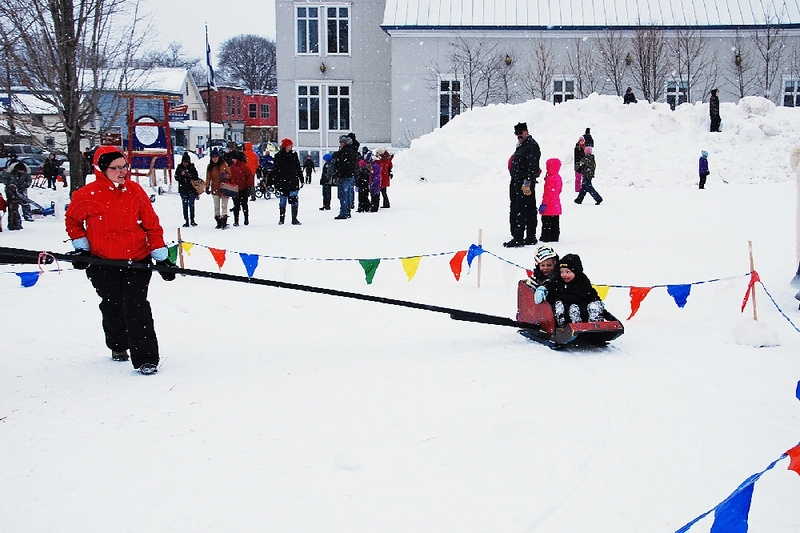 This youngster gets a ride on the Vipukelkka, or whipsled, on the Finlandia Quincy Green area. 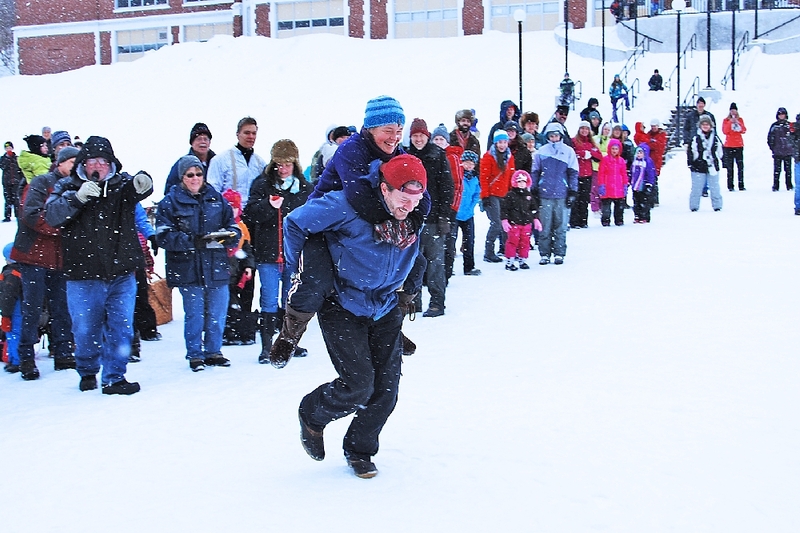 This very popular competition, the wife (partner) carry race, where they race around a three station course with specific chores to carry out, before racing to the finish line. This couple, Marcel Potvin, and his better half on top of things, Ame Chowinard, were trying it for the first time. The Copper Counry Suzuki Association group plays for those looking over the articles for sale at the FAHC Tori after the Parade. Speaking of which, we go inside and peek at the Tori . This image speaks for itself. 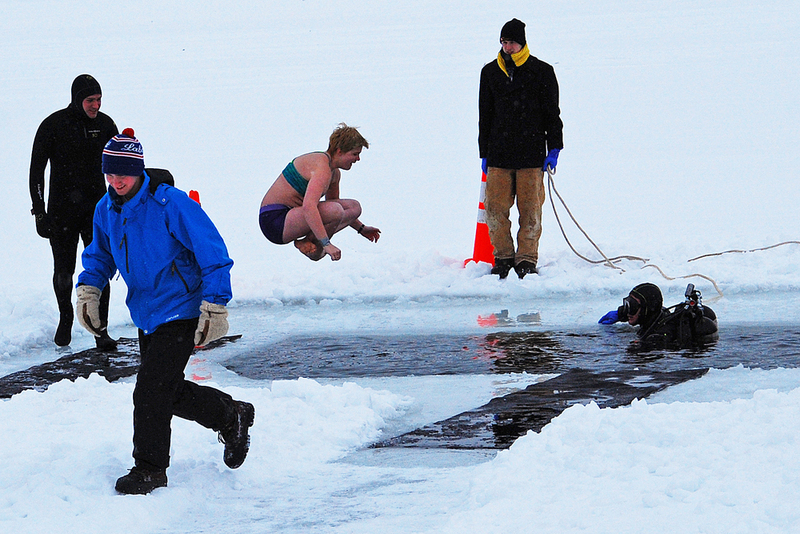 Believe it or not, a large number of hardy souls, from not only many States in the U.S., but also come from a number of other Countries as well, to make the Annual Polar Dive. 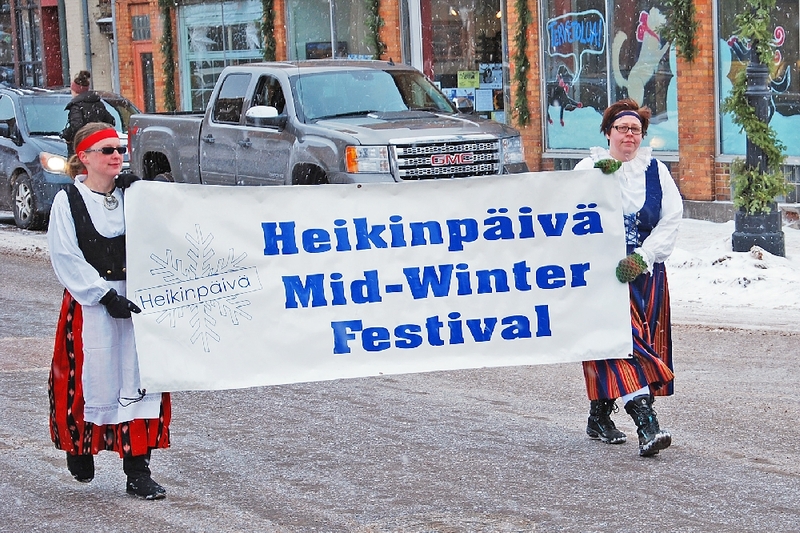 Come join us Mid Winter for the next Heikinpaiva.